Published in: Cormaci, M., Furnari, G., Catra, M., Alongi, G. & Giaccone, G. (2012). Erratum. Flora marina bentonica del Mediterraneo: Phaeophyceae. Bollettino dell'Accademia Gioenia 45: 509-510. This is the type species (holotype) of the genus Neoralfsia. 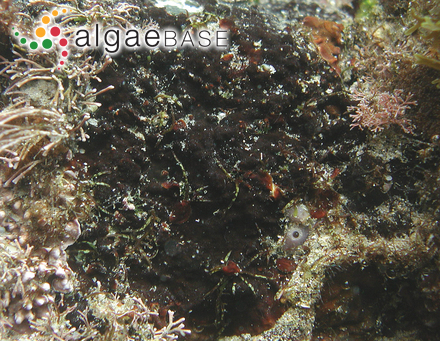 Type locality: Veracruz, Mexico (Silva, Basson & Moe 1996: 573). 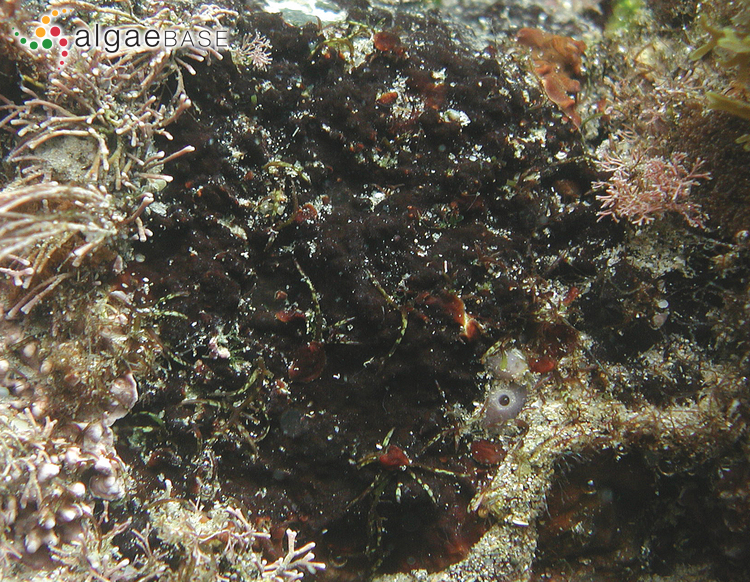 Type: C (Yoshida 1998 Notes: According to Leon-Alvarez & González- González (2003: 613), the holotype of Ralfsia expansa (J. Agardh) J. Agardh [Agardh 1847, as Myrionema (?) expansum] was collected by Liebman from an unspecified area on the east coast of Mexico in Veracruz. The type specimen was sterile and an incomplete description of the taxon was published by Agardh in 1848. León-Álvarez, D., Núñez-Resendiz, M.L. & Wynne, M.J. (2014). Morphological and molecular studies on topotype material of Neoralfsia expansa (Phaeophyceae) reveal that Asian specimens assigned to this taxon are genetically distinct. Botanica Marina 57(5): 351-358. Accesses: This record has been accessed by users 1145 times since it was created.